Shop with peace of mind Secured by 128-bit SSL Strong Encryption We accept. 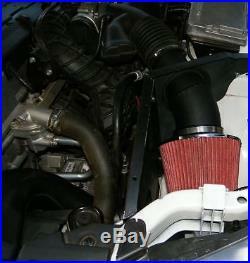 COLD AIR INTAKE KIT FG XR6 TURBO & XR6 6 CYL - ALL FG 6CYL MODELS. PERFORMANCE COLD AIR KIT - FG XR6 FG XR6 TURBO FG 6 CYL ALL NON XR6 MODELS FPV F6 TYPHOON TORNADO 6CYL TURBO EXCLUDES ALL MK2 FG MODELS. 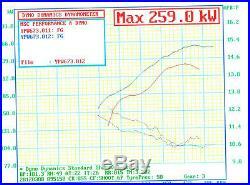 NB: DYNO SHEET PROVIDED IN LISTING IS BEFORE (STOCK INTAKE)AND AFTER. FITTMENT OF OUR INTAKE INTAKE ONLY FOR THE. COLD AIR INTAKE KIT SUITS ALL FORD FG FALCON XR6 & XR6 TURBO FPV 6 CYL MODELS PLEASE ADVISE IF TURBO AT CHECKOUT THANK YOU. ENHANCES ENGINE'S VOLUMETRIC EFFICIENCY. ENHANCES INTAKE SOUND (INDUCTION ROAR). INSTALLS IN AN HOUR (DOES NOT REQUIRE BUMPER OR HEADLIGHT REMOVAL). MAINTAINS ALL FACTORY EMISSIONS COMPONENTS. FITS BOTH MANUAL AND AUTOMATIC TRANSMISSIONS. UNIQUE THERMAL BARRIER CONSTRUCTION ENSURES LOW INLET TEMPERATURES. FULLY COMPATIBLE AND COMPLIMENTARY WITH AFTERMARKET REMAP/TUNE. VEHICLES FITTED WITH THESE COLD AIR INTAKE KITS DO NOT REQUIRE ECU TUNING OF ANY KIND TO ACHIEVE RESULTS, THESE ARE A SIMPLE BOLT ON MODIFICATION. FITTING TIME NORMALLY TAKES NO LONGER THAN ONE HOUR. BRAND NEW IMPROVES 0-100 ACCELRATION TIMES BY UP TO 1/2 SECOND. SHEILDS ALL HEAT FROM ENGINE BAY. INCLUDES MOUNTING HARDWARE, SHROUD, MAF ADAPTER AND MOST IMPORTANTLY A RE-USABLE / WASHABLE COTTON HIGH FLOW AIR CLEANER POD THIS KIT TAKES ALL OF ITS COLD AIR FROM BEHIND THE HEADLAMP AND FROM THE BONNET GAP (SEE IMAGE). THIS KIT IS THE MOST COST EFFECTIVE WAY TO IMPROVE YOUR 6 CYL FORD PERFORMANCE AND UNLEASH A GROWL UNDER WIDE OPEN THROTTLE - ALSO AIDS IN REDUCING FUEL CONSUMPTION. DRAWING AIR - THIS IS DONE SIMPLY BY TAKING AIR FROM THE FRONT OF THE BOX ASSY WHICH IS OPEN AND MOUNTED TO THE BACK OF THE HEADLAMP. AS SUCH, ALL COOL AIR IS THRU THE BONNET GAP AND VENTS AND FROM AROUND THE HEADLAMP ONE OF THE BEAUTY'S ABOUT OUR KITS IS THAT THE INTAKE TEMPS ARE DRAMATICALLY REDUCED, AND TOTAL COLD AIR IS DRAWN INTO THE INTAKE ASSY. AIR BOX COMPARTMENT - BLACK 2. HIGH FLOW HIGH QUALITY COTTON POD CONE FILTER (RE USEABLE / WASHABLE) 3. ADAPTOR PIPE (FOR 6CYL MODELS ONLY) WITH THE PROVISION FOR AIR TEMP SENDER (WHERE REQUIRED) 4. V8 MODELS USE FACTORY RUBBER PIPE TO CONNECT TO AIR BOX. STRAIGHT FORWARD FITTING - INSTRUCTIONS & PICTURES SUPPLIED. We have a secure checkout system for all payments. Direct Deposit your amount into our account over the counter at your local National Australia Bank. Please Note: We DO NOT accept Paymate, COD or Cash (We DO NOT allow pick-ups). Most of our parcels are sent through Australia Post by a system called POST eParcel & Registered Post. The parcel will be delivered to your door where you will be required to sign for it. If no one is home, a card will be left advising which post office the parcel is left at and you can go and collect it. If a card has not been left, you can use the eParcel website to determine if it has arrived at your local Australia Post Office where you can simply go and collect it. Items such as Bee Sting antenna's do not have tracking. Over 1 meter in length are shiped by. (Please refer to listing of product as to which method is used). We DO NOT allow pick-ups. Pick-ups are NOT possible (Only by appointment). Please allow up to 30 minutes for your details to become available. Original Parts Group is an Australian owned and operated online retail store. All item prices include GST. All pictures displayed in our auctions are for illustration purposes only. Powered by My Online Business. 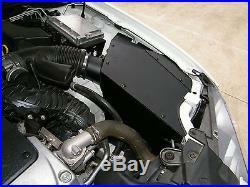 The item "COLD AIR INTAKE KIT FG XR6 TURBO & XR6 6 CYL ALL FG MK1 / I 6CYL MODELS" is in sale since Monday, September 26, 2011. This item is in the category "Vehicle Parts & Accessories\Car, Truck Parts\Performance Parts\Air Filters, Induction Kits". The seller is "originalpartsgroup" and is located in CAMPBELLFIELD, MELBOURNE, VICTORIA. This item can be shipped worldwide.